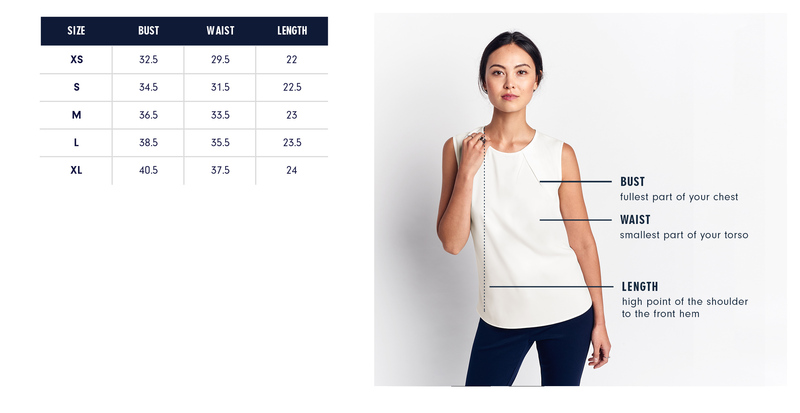 A slim fitting top with sharp seams, and short sleeves. Layers well under jackets. Straight hem so can be worn tucked or untucked. Our model is 5'9" and wearing a size S.